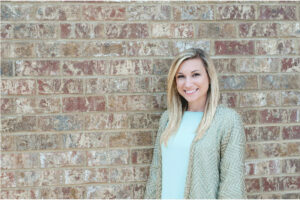 Speech Language Pathologist ~ Kayla is a 2016 graduate of the University of Mississippi with a Masters of Science Degree in Communication Sciences and Disorders. She joined the High Pointe team in August 2016. Kayla just recently married Josh and they have a 4-year-old black lab, Ranger. For fun, Kayla enjoys doing pretty much anything outdoors and having get-togethers with friends and family. She has truly enjoyed all her clients so far and is very excited to begin her career as a speech language pathologist at High Pointe!